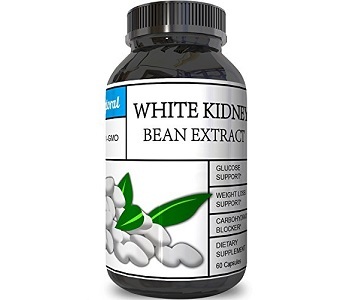 Today we will review White Kidney Bean Extract Supplements from Phytoral. Losing weight can be hard and it is sometimes necessary to seek out extra help from supplements if you feel that it can benefit your progress. 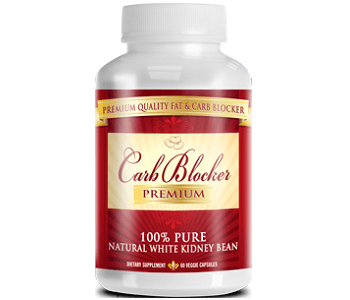 White Kidney Bean Extract supplements claim to help you lose weight by blocking starch digestion which minimizes those starches being deposited as fat in your body. This product also claims to reduce your cravings and suppress your appetite. If you want to start investing in your health and you want to know more about this product, read our review below. This product contains 1200 mg of White Kidney Bean (Phaseolus Vulgaris) Extract. This is a large amount of ingredient per capsule compared to similar products on the market and will definitely provide an effective dosage of White Kidney Bean Extract. White Kidney Beans are full of fibre which can help you to feel full for longer whilst helping you to keep your cravings at bay. White Kidney Beans are also rich in antioxidants, vitamins and minerals which also improve your overall health. White Kidney Beans helps you to lose weight by inhibiting the starch-digesting enzyme amylase which is responsible for turning your food into absorbable sugar. It is recommended that you take 2 capsules twice a day. You can take them before your two biggest meals of the day. Do not exceed the limit of 4 capsules per day. If you are taking blood thinners or any other medication then it is advised to first consult your doctor before taking this supplement. If any adverse reactions occur then discontinue use of this product immediately. This product should be kept out of reach of children and is not suitable for children under the age of 18 or pregnant and nursing mothers. You cannot buy this product directly from the manufacturer’s website. Instead, you can find this product at various third-party sellers like Amazon. Amazon sells this product at $10.44 for 60 capsules which also includes free shipping. Currently, Amazon is not offering any promotions on this product. Amazon does provide a 30-day money back guarantee for people who are not satisfied with this product. However, you are responsible for your own shipping and handling costs. The feedback on Amazon regarding this product is mostly positive but there were a handful of reviewers stating that they could not notice any difference in their weight after taking this product. One of the reviewers also said that his product gave him foul gas. We like that this product can help you to manage your weight by suppressing your cravings and limiting the amount of starch your body can absorb. We also feel that the price is competitive compared to similar products on the market. However, we are concerned about the high dosage per capsule compared to the recommended dose which is only 1000 mg per capsule. We are not sure if this high dosage can have adverse effects on your body if you take 4 pills per day as recommended. We are also not happy with some of the negative reviews regarding this product on Amazon.